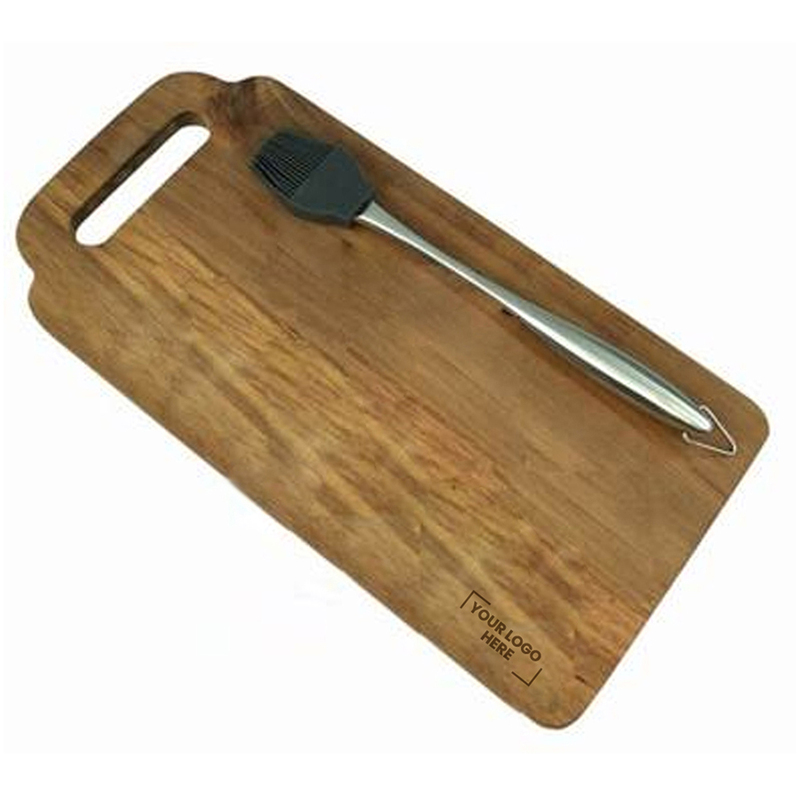 Acacia food prep board with stainless/silicone marinating brush, presented in a brown cardboard box. Dimension: 195 x 400mm W. Price includes : Unit Price Pad Print - One Colour/Location. Setup is included.